(TibetanReview.net, Nov23, 2018) – The head of the Nyingma tradition of Tibetan Buddhism, Kathok Getse Rinpoche, has met an untimely death, victim of a freak accident at his monastery in a village not far from Nepal’s capital Kathmandu, on Nov 19. The 64-year-old Fifth Kathok Getse Rinpoche Gyurme Tenpa Gyaltsen, holder of the Kathok Monastery lineage, reportedly passed away after he slipped and was fatally injured while coming out of a meditation retreat at Kathok Hermitage of Chagdud Gompa, a retreat centre in the Pharping-Hattiban rural area, located about an hour’s drive from Kathmandu. The head of the Nga-gyur Kathok Azom Woesel Do-ngag Choekorling was made the 7th head of the Nyingma tradition of Tibetan Buddhism for a three-year term at a gathering of top Nyingma leaders during the 29th Nyingma Mönlam in Bodhgaya in Jan 2018. It was decided at that gathering that the headship should rotate among the heads of the six principal Nyingma monasteries of Kathok, Zogchen, Shechen, Mindrolling, Dorje Drak and Palyul. The Central Tibetan Administration at Dharamshala, India, closed its offices and held a prayer service for the deceased Lama on Nov 22 with the participation of all its staff. Kathok Getse Rinpoche was born in Golog, Eastern Tibet, in 1954 and recognized as the reincarnation of the Third Kathok Getse, Gyurme Tenpa Namgyal. He came into exile in 1997. 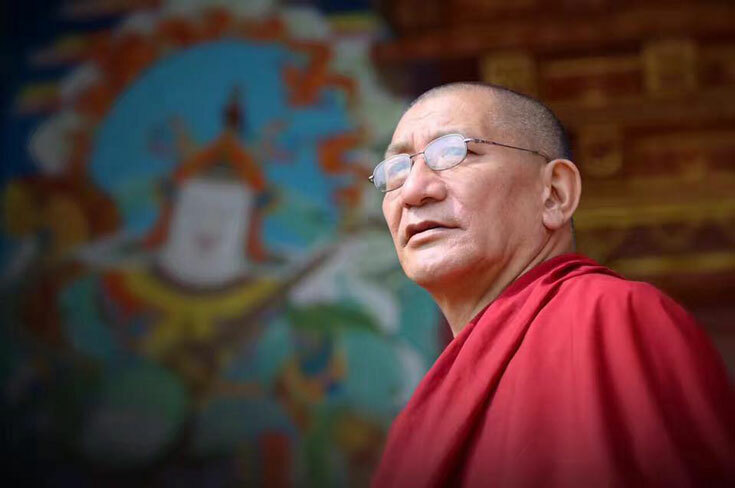 Rinpoche had spent many years in retreat and was known especially for his mastery of the Dzogchen, a tradition of teachings in Tibetan Buddhism aimed at discovering and continuing in the natural primordial state of being. It is a central teaching of the Nyingma school of Tibetan Buddhism. The original Kathok Monastery was founded in 1159 in Palyul (Chinese: Baiyu) County of Karze (Garze) Prefecture, which is currently part of China’s Sichuan Province. In exile, Rinpoche divided his time between Kathmandu – where he oversaw Kathok Hermitage – India, and Bhutan.